Ald. Peter Braithwaite (2nd) speaks at a Human Services Committee meeting on Monday. At the meeting, policy and procedural changes for the Evanston Police Department were presented to council members. City manager Wally Bobkiewicz announced a series of policy changes for Evanston Police Department officers, including increased training in de-escalation and diversity and inclusion, at a Human Services Committee meeting Monday. The changes come after a year-and-a-half-long discussion about police procedure and conduct focusing on how the police department handles use of force and citizen complaints. The list includes changes to the way officers are trained, alterations to the complaint process and increased transparency from the department in terms of data that is released to the public. Bobkiewicz presented the series of policy and procedure changes to City Council and members of the Human Services Committee. Other changes put forward include participation in the Cook County Sheriff’s Department 40-hour Crisis Intervention Team training program and the monthly publication of police statistics at committee meetings. Ald. 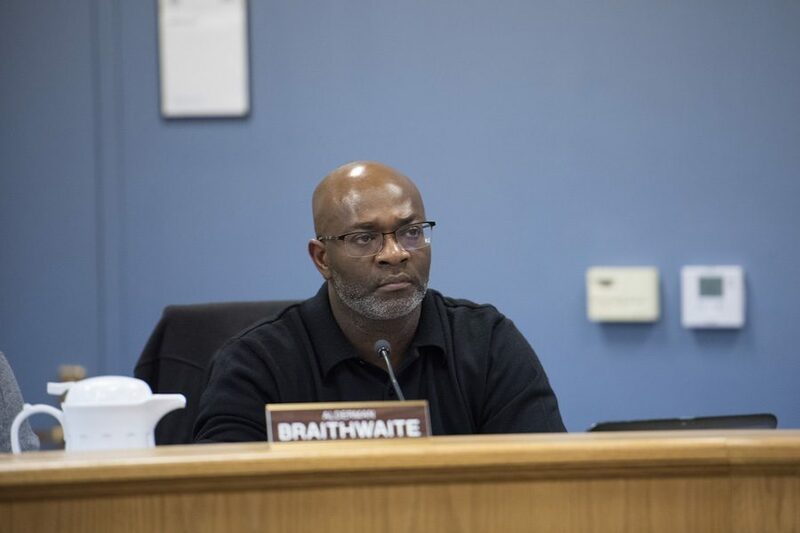 Peter Braithwaite (2nd) spoke about a need for transparency and ensuring the city fully recognizes the concerns raised by recent controversial arrests. The question of police conduct was originally raised at committee meetings following the October 2015 arrest of Northwestern graduate student Lawrence Crosby. The city released a video of the incident last month at the request of Ald. Brian Miller (9th). Police pulled Crosby over for allegedly breaking into and stealing a car, which was later determined to be his own. When pulled over, Crosby exited his car, and was taken to the ground and punched by officers. He was arrested and charged with disobedience to police. The charges were dropped at trial, and Crosby has since filed a lawsuit against the city and the officers who arrested him. Bobkiewicz also announced EPD would implement body cameras starting with a pilot program on July 1, moving toward full implementation by Jan. 1, 2018. He said the technology will be shared with University Police, which is also slated to adopt the cameras. During the meeting many aldermen are Evanston residents called for an independent advisory board to look over citizen complaints and work with the department. The mayor-appointed Citizen Police Advisory Committee and the Human Services Committee will now take over the process as a part of the procedural changes, Bobkiewicz said. As a part of this shift in responsibility, the police chief-appointed Evanston Police Advisory Committee will be disbanded on March 1. Mayor Elizabeth Tisdahl suggested those interested in becoming a part of the committee — whose members are currently appointed by their respective aldermen and represent all nine wards — can sign up either in person after Monday’s meeting, or by contacting the mayor’s office. Ald. Judy Fiske (1st) emphasized the importance of community involvement in the process. During the meeting, Police Chief Richard Eddington said the procedural changes were inspired by the National Consensus Policy on Use of Force and a report on citizen complaint boards from Champaign, Ill., which Evanston is using as a “springboard” for its policies. A list of comments and issues raised at the meeting will be made public on the city’s website within the next 30 days, Bobkiewicz said.